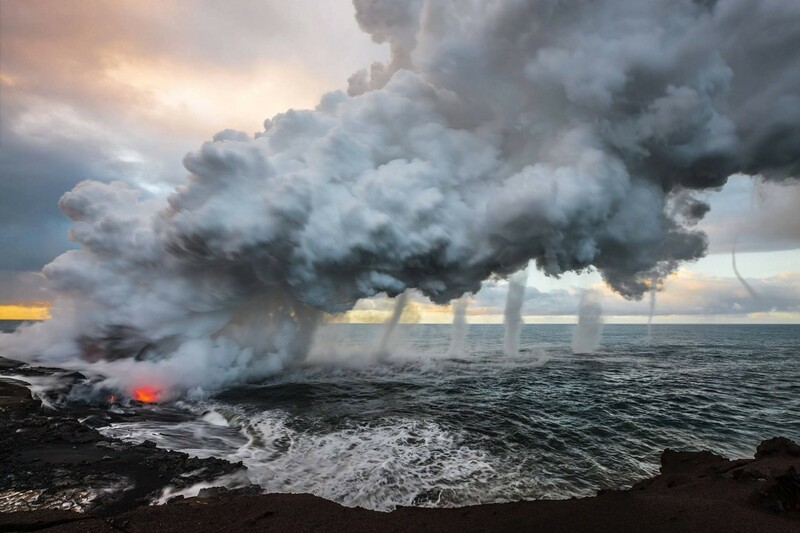 As true Big Island natives, we strive to capture the essence and spirit of our island in every image we shoot, from explosive volcanic action to soothing seascapes. The wonder and beauty of this tropical paradise, the same surroundings that have captivated our ‘ohana for generations, will be sure to leave a lasting impression upon you as well. Ooo, pretty! Yeah, it’s pretty neat. Reminds me of vortices coming off of a burn at Burning Man; similar flat plain with continuous large heat source.